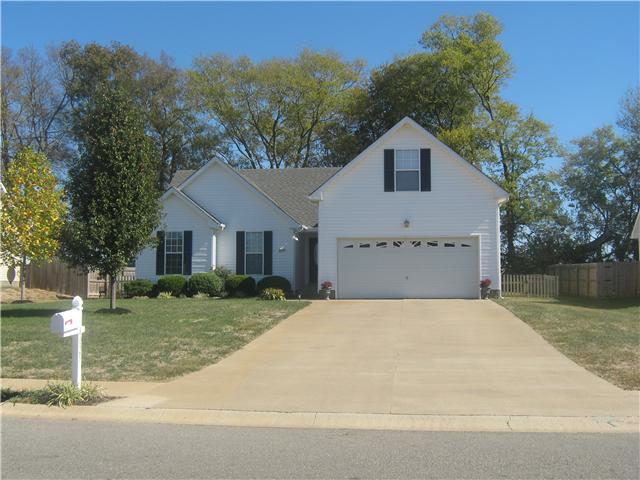 Located in a remote part of historic Clarksville, Tennessee, Arbour Greene North is a quiet subdivision that offers scenic properties and easy access to shopping, restaurants, schools, and post. Featuring beautiful homes from the $130s to the $150s, Arbour Greene North has a wide array of differing styles of homes that are sure to please any eye. Conveniently situated close to I-24, Arbour Greene North offers easy access to anywhere you would like to go, including Nashville – Arbour Greene North is just a quick 45 minutes away from the Music City. If you’d rather do something closer to home, Clarksville’s Exit 4 area offers plenty of shopping and restaurants. Arbour Greene North offers the quiet comfort of a secure neighborhood and features sidewalks and street lamps. There are also trees abundant throughout the neighborhood. Many of the homes feature decks, covered porches, beautiful landscaping, and spacious, fenced yards. For parents, Arbour Greene North is located close to Hazelwood Elementary and Northeast Middle and High Schools, and there are several parks just minutes away. Arbour Greene North is also located just minutes from Fort Campbell, Kentucky – the home of the legendary 101st Airborne Division. With all of these great features, why not come and see this great neighborhood for yourself? Find out how you can make Arbour Greene North your home today! I am dedicated to giving you the best service possible along with my advice and expertise and I am always available to answer any questions. Rest assured I will guide you every step of the way and make your experience very pleasant and unforgettable. If you’re looking to buy or sell a home in the Clarksville TN or surrounding areas, you can reach me at Exit Realty Clarksville, 1289 Northfield Drive, Clarksville TN 37040, Cell: 931-206-0897.